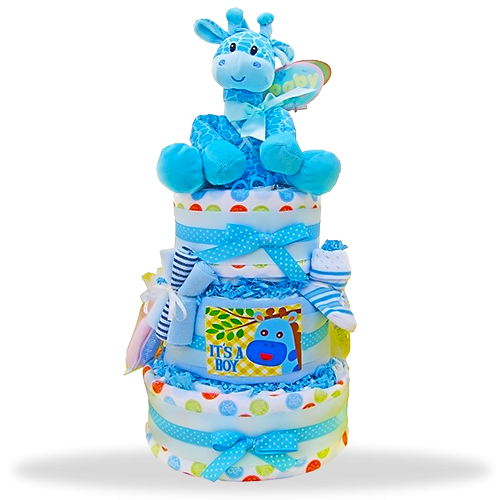 Baby Boy Bonanza three-tiered diaper cake! 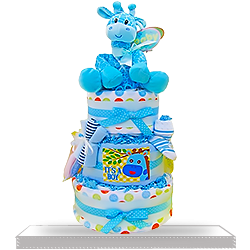 A sweet and cuddly blue giraffe rides this 3 layered stack of 35 disposable Pampers Swaddlers. He's bringing thoughtful gifts like 3 receiving blankets, 3 baby wash clothes, baby booties, and scratch mittens make for a nice start! We've also included a manicure kit and a full line of Johnson's baby products. 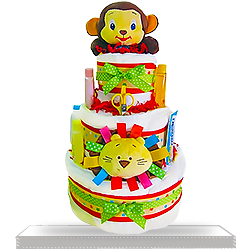 When we received this cake it looked so charming that we didn’t want to disassemble it. 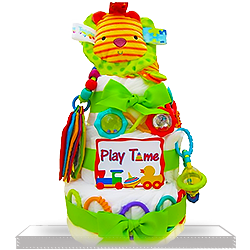 First week it served as a decoration of baby’s room and now the room seems as if it misses something without it. Just sent this gift to my little nephew and didn’t receive any feedback yet. Hope he and his parents will love it. 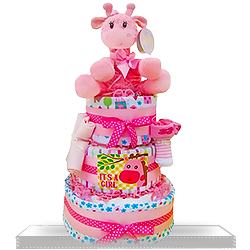 This was a present for a friend and her baby, she loved it a lot. 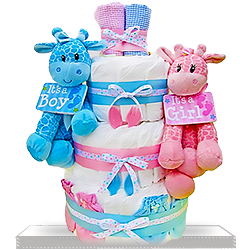 Sent this baby gift basket to my new grandson. I was told it was well packaged and well made. Arrived on time.